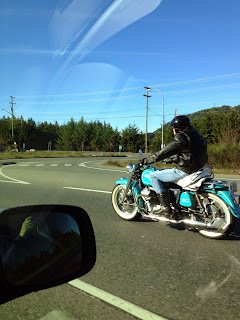 After spending 10 days riding in Peru, I saw more motorcycles on the road each day then what I see in a given day, even a nice day, where I live in Canada. My riding companion, who's from US, made the same observation. In Peru, motorcycles are a widely used form of transportation and I'd go as far to say that few Peruvians use their motorcycle for recreation. 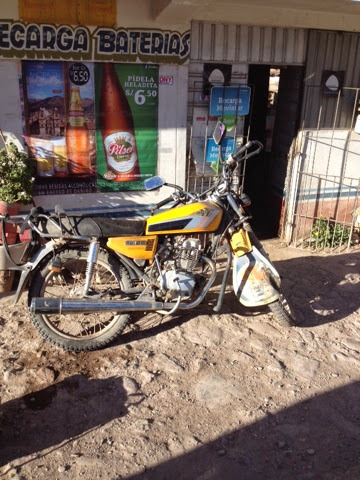 In Peru, most motorcycles are simple single cylinder bikes that are under 200cc's. In North America, that's a beginners motorcycle. We consider 650's and smaller to be, well, small. In Peru our Honda Falcon 400's were considered huge and fast. If you see a larger motorcycle on the road, it's either part of a tour or the owner is riding through South America and is from North America or Europe. 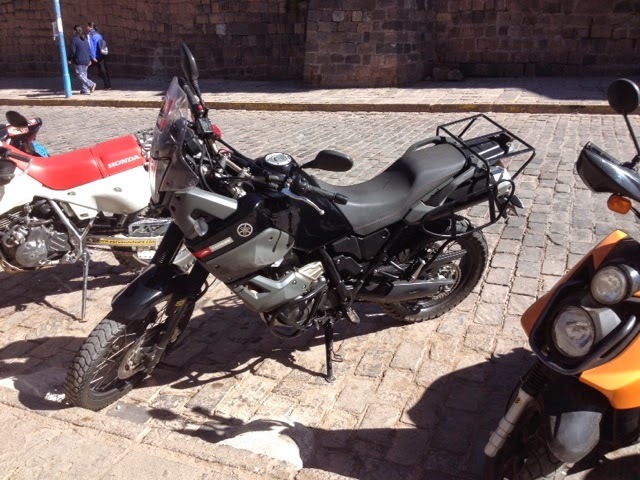 A big motorcycle by Peruvian standards. 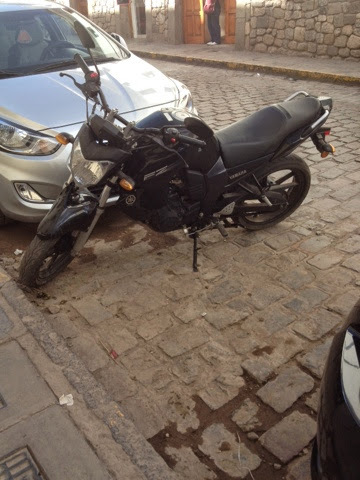 In Peru you can buy a Yamaha FZ16. All 160cc's worth. 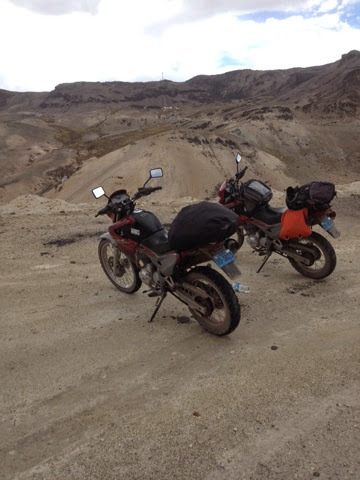 While you will see a few Yamaha and Honda motorcycles on the road, most of the motorcycles in Peru are brands that are unknown in North America. 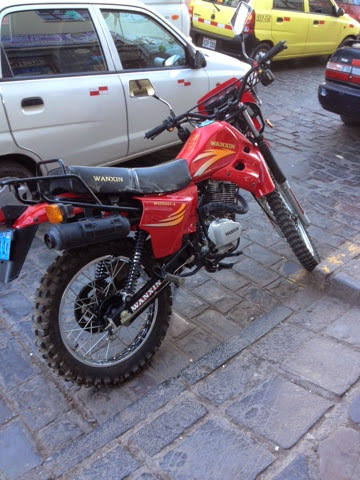 Finally, there is one motorcycle available in Peru that I would love to see come to North America. The Yamaha Tenere XT660. Keep dreaming and make sure you live, and ride, your dream.